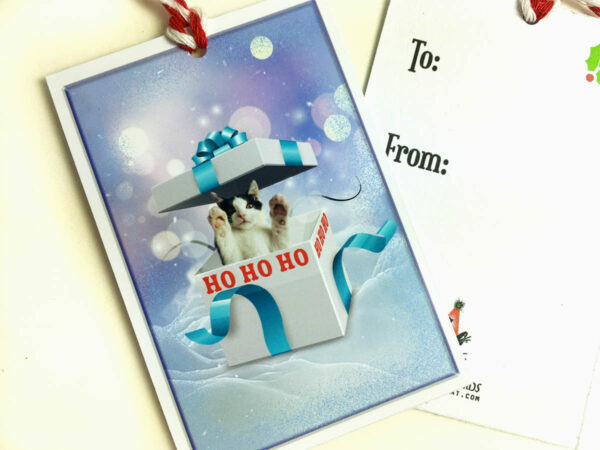 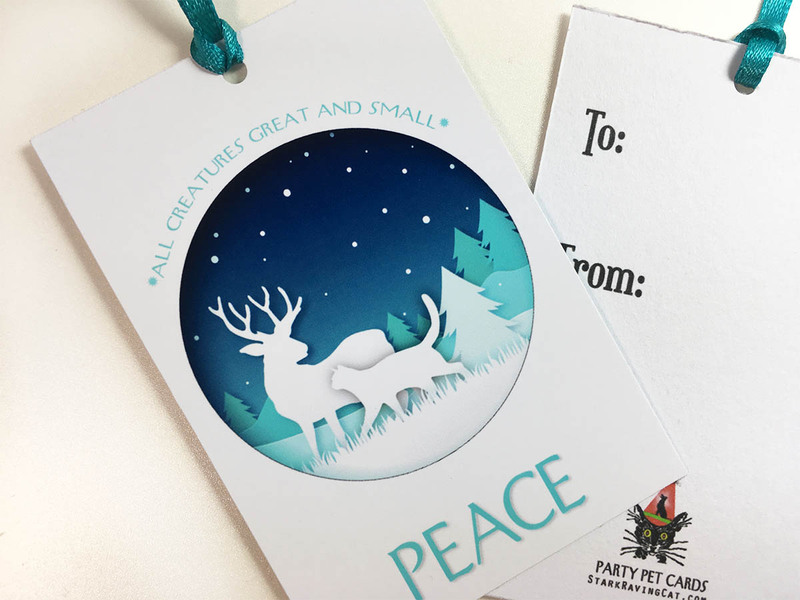 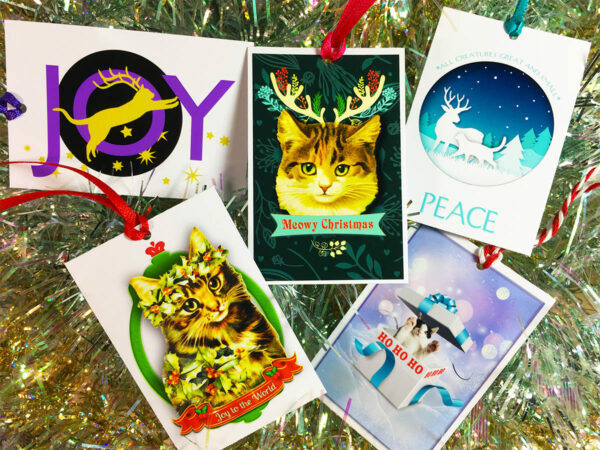 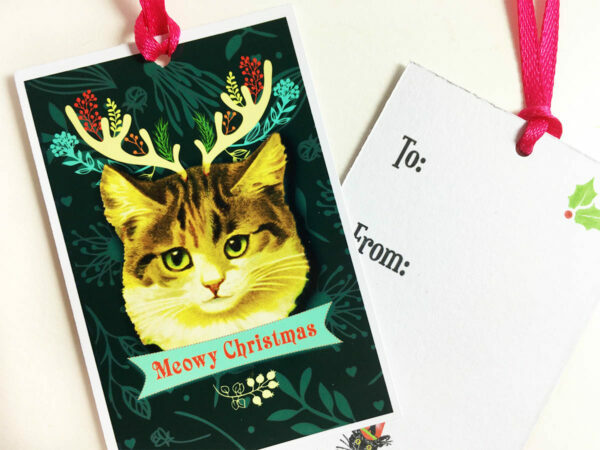 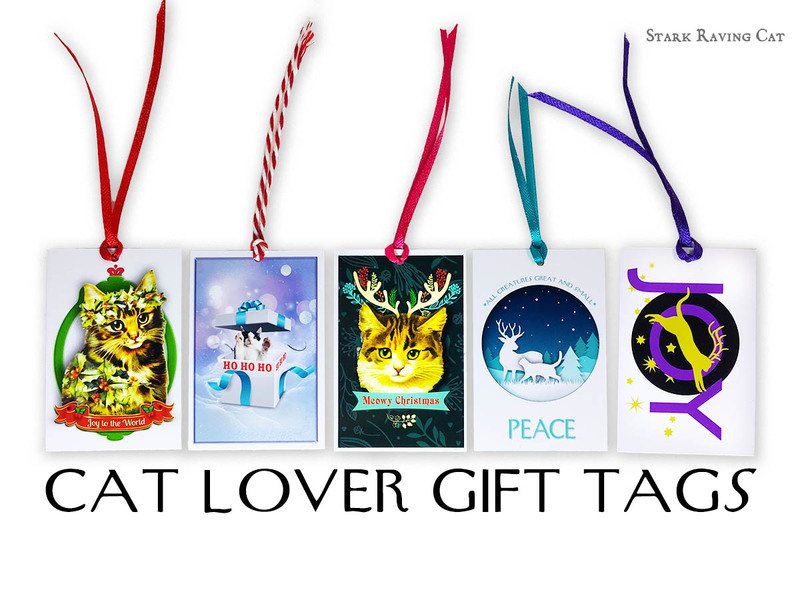 Cat Lover gift tags (Set of 10) – pretty enough to hang on the tree, in 5 different designs. 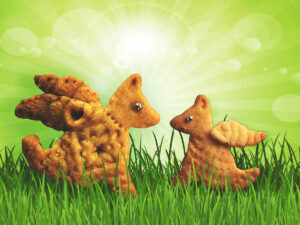 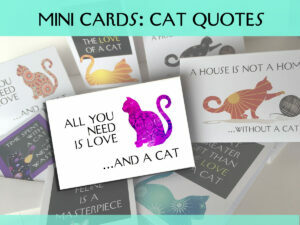 From Victorian cats to avant garde style, to a kitten popping out of a box – these are our own original designs. 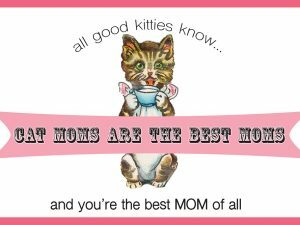 Satin ribbons make them especially fancy. 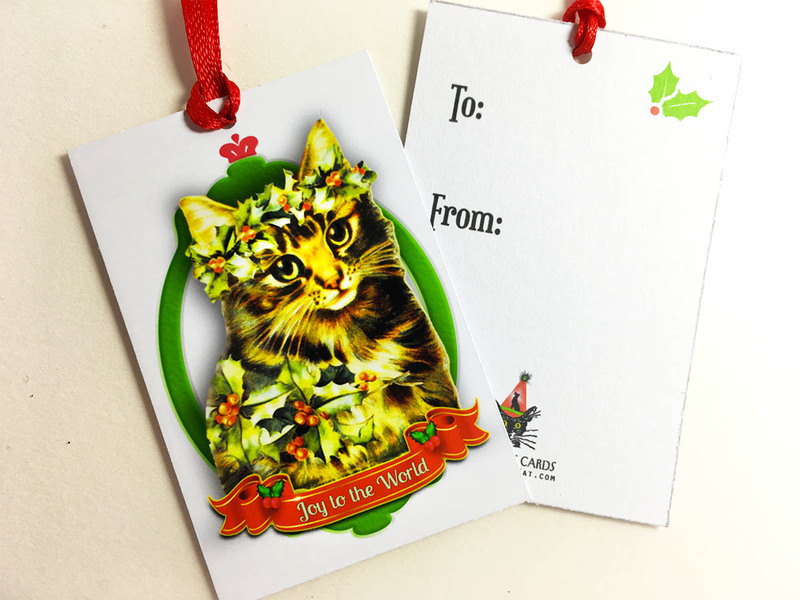 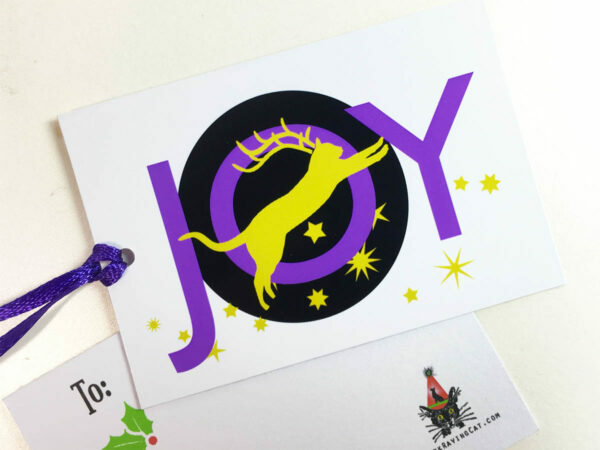 Each handmade tag is individually printed and trimmed in our shop, on quality photo cardstock. 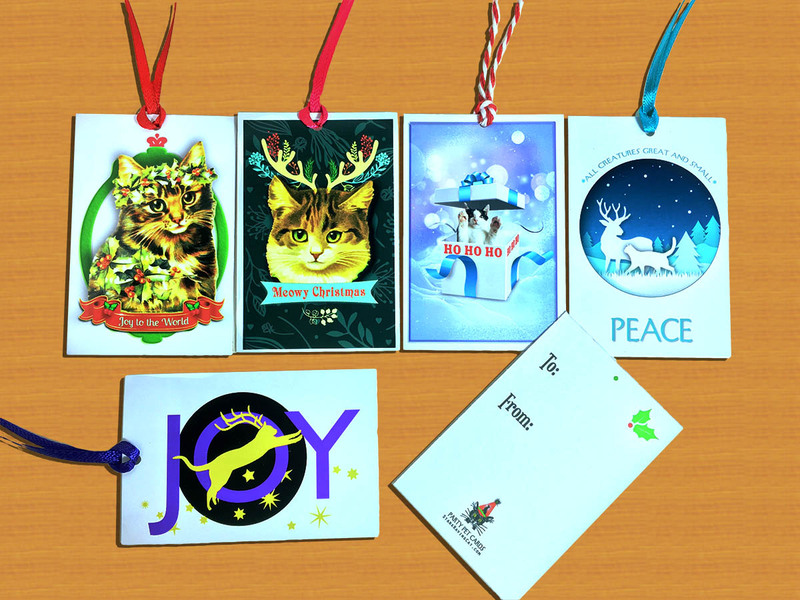 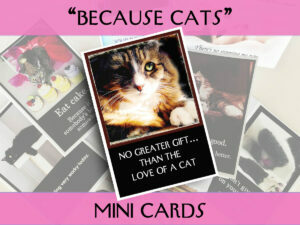 • The front of each tag is glossy photo cardstock, for a rich look. 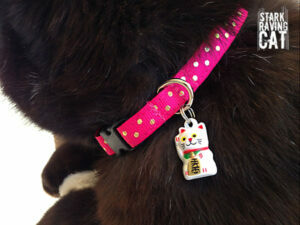 • The back of the tag features TO and FROM on a matte surface, so you can write with any pen or marker (no smearing!) Plus, there’s a festive holly in the corner. 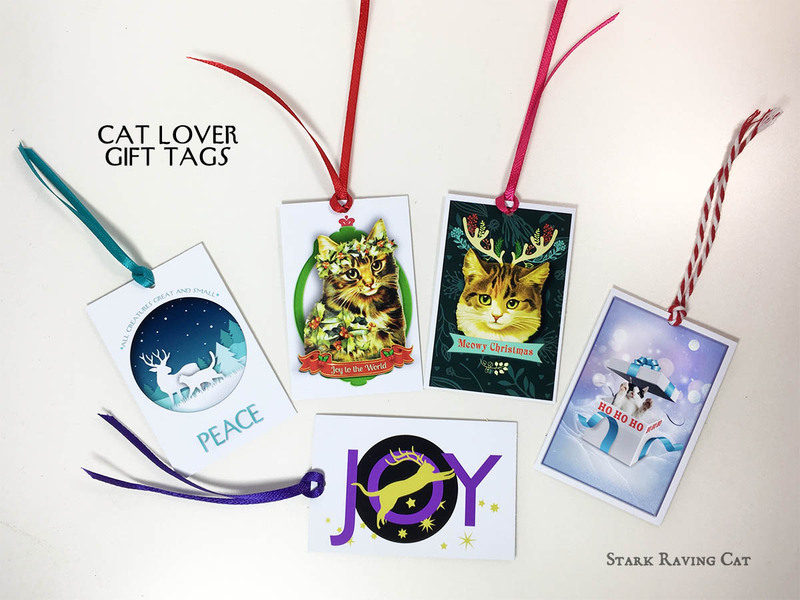 Each tag measures 3×2 inches, and comes with its own satin ribbon or candy-cane twine. It’s dynamic enough to make any gift stand out, even with the simplest of papers and bows.